I like a good tipple, especially around party season when I need little-to-no excuse to pop open a bottle of bubbly and pimp up my prosecco. 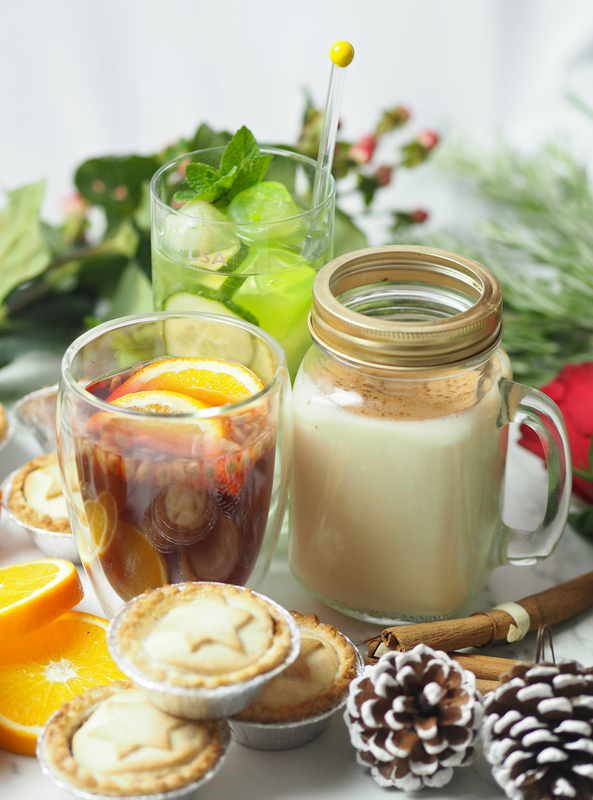 Excessive drinking is definitely a no-go (nobody wants a hangover when faced with a table of Christmas food,) but that doesn’t mean we can’t enjoy a beverage or two to help us get in the festive spirit. 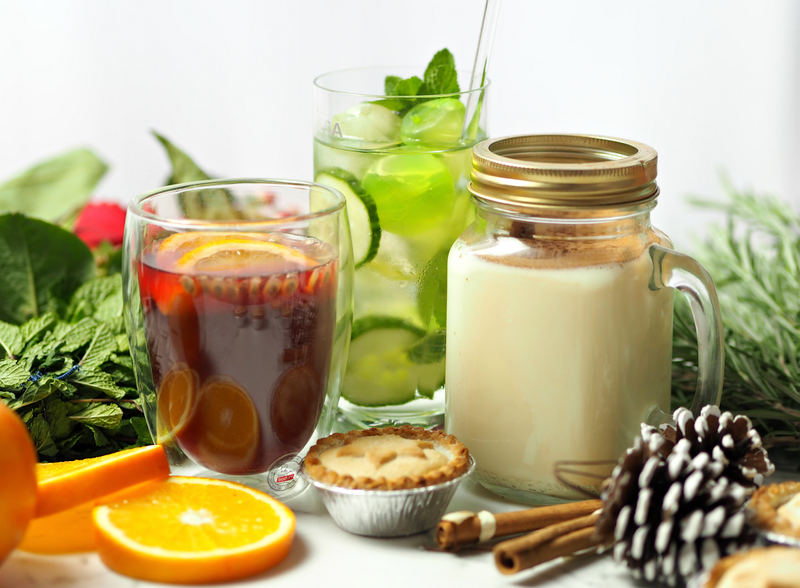 Although many cocktails and traditional drinks are filled to the brim with sugar (which is bad for your body, mind and sleeping patterns,) there are some tipples that actually have positive benefits that will leave you feeling 100% guilt-free the morning after. 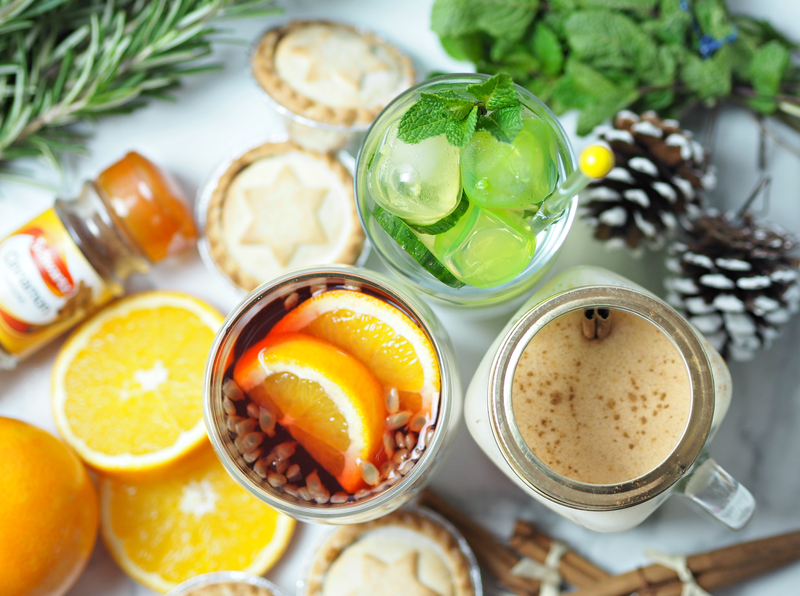 I’ve done my research and have created three drinks which are full of goodness and low in sugar, so you can feel just as Christmassy but not as conscious-striken. Did you know that the ‘isoflavones’ in soy can help protect collagen in the skin, while studies have even shown it can help defend against the formation of wrinkles? As a bonus, the minerals and proteins in soy milk can reduce the discoloration of skin, giving you a clearer complexion. 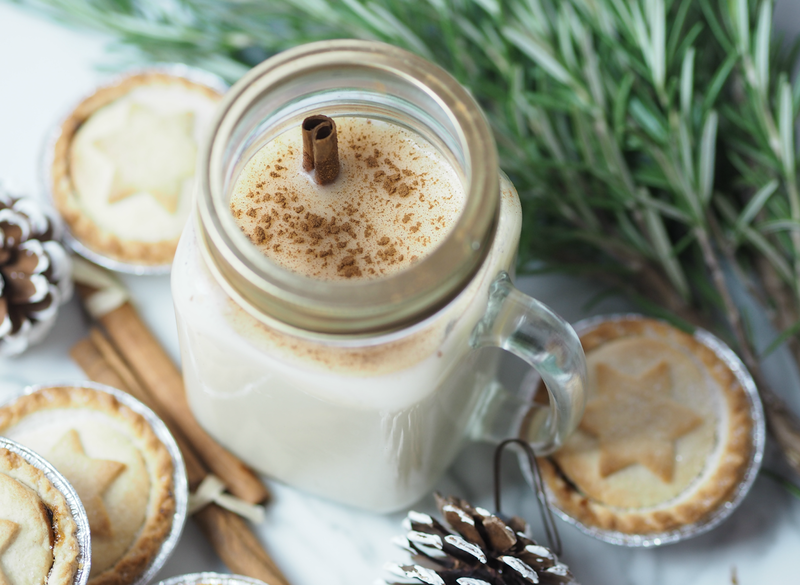 Eggnog is the ultimate Christmas drink, although it’s not to everyone’s taste; if you swap out a few of the traditional ingredients for healthier counterparts you can ensure you’ve got a skin-loving beverage rather than a sugary sweet guilty pleasure. 1. Combine two cups of soy milk with a sprinkling of vanilla and cinnamon in a saucepan, and heat over a low heat for five minutes. 2. Slowly bring milk mixture to a boil and add in a couple of cloves if you fancy. 3. In a large bowl, combine one egg yolk and a tablespoon of honey. Whisk together until fluffy, gradually adding in your milk mixture. 4. Pour your entire mixture back into the saucepan, cook over medium heat until it thickens but don’t allow it to boil; let the mixture cool before adding in a dash of rum and any spices you fancy. Sit back and enjoy! Pomegranate juice contains a huge amount of anti-oxidants and polyphenols (over twice as much as green tea,) and is fantastic for nurturing collagen production. The density of antioxidants found in pomegranate juice also improves the tone of skin, theoretically leaving us with fewer fine lines and a much plumper looking complexion. 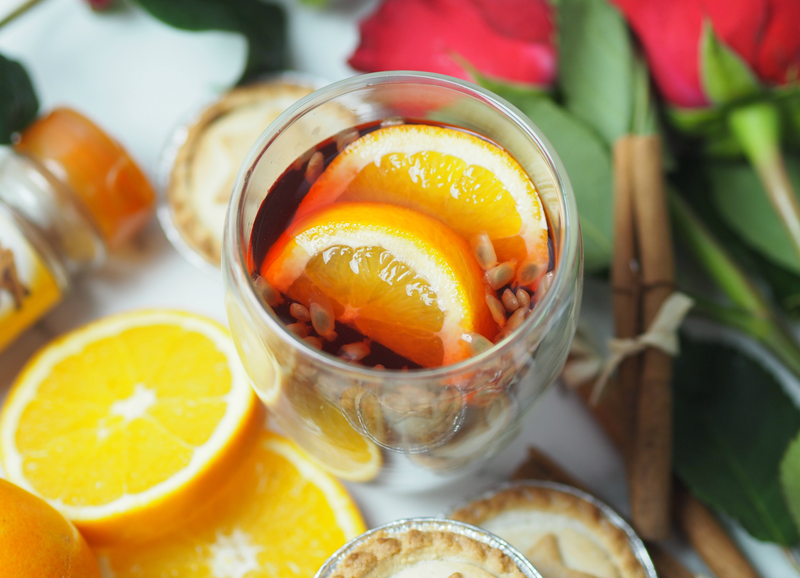 Rather than overdosing on sugary cocktails, why not make your own version of a winter sangria to get you in the mood for dancing? Adding a sprinkling of red wine will up the ante even more, as it’s known to help fight blemishes and acne, help repair damage and offer up glowing skin. Bonus. 1. Add a carton of pomegranate juice and half a bottle of red wine into a large saucepan. 2. Sprinkle in pomegranate seeds, freshly sliced oranges, a few cloves and a tablespoon or two of honey. 3. If you’re feeling extra festive, add a cinnamon stick or two alongside some nutmeg or ginger. 4. Stir it all up and heat on a medium heat for a few minutes; serve in your best glasses! It’s always a little tricky to get our daily recommended dose of water during the Christmas season. Flavoured coffees and tonnes of hot chocolate yes, but those eight cups of H2O can sometimes elude us. Since they’re 90% water-based, cucumbers help to hydrate the skin – but they’re also filled with minerals (including magnesium and potassium) that help maintain a healthy skin pH and decrease inflammation. I’m committing to change up my usual sugary sweet mojito in favour of something altogether more good for me and hydrating – so let me introduce you to the Cooling Cucumber Mojito. 1. Add a few ice cubes to tall classes and sprinkle in a small amount of brown sugar. 2. 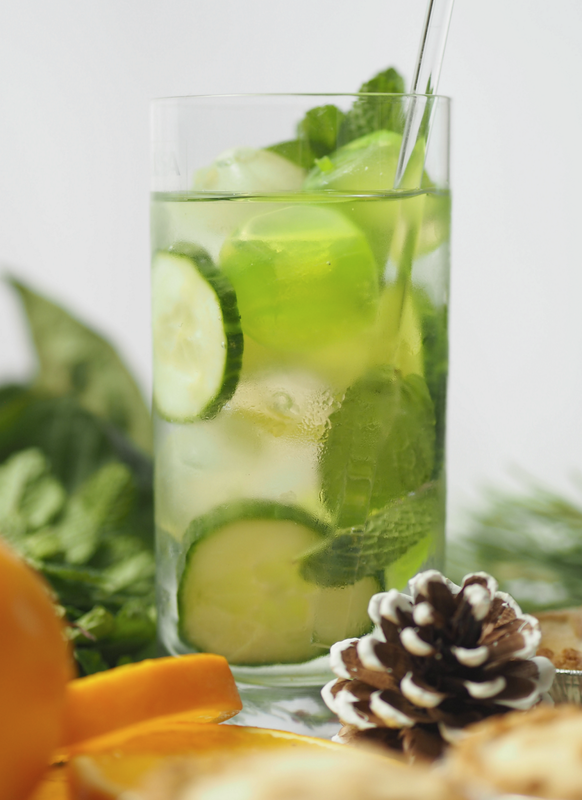 Slice up half a cucumber into delicate sections and add two or three to each glass, alongside some crushed mint leaves. 3. Fill up the glass with sparkling water and and a dash of white rum to taste. We can all enjoy a cheeky little tipple over the Christmas period – but make sure it’s a good one! 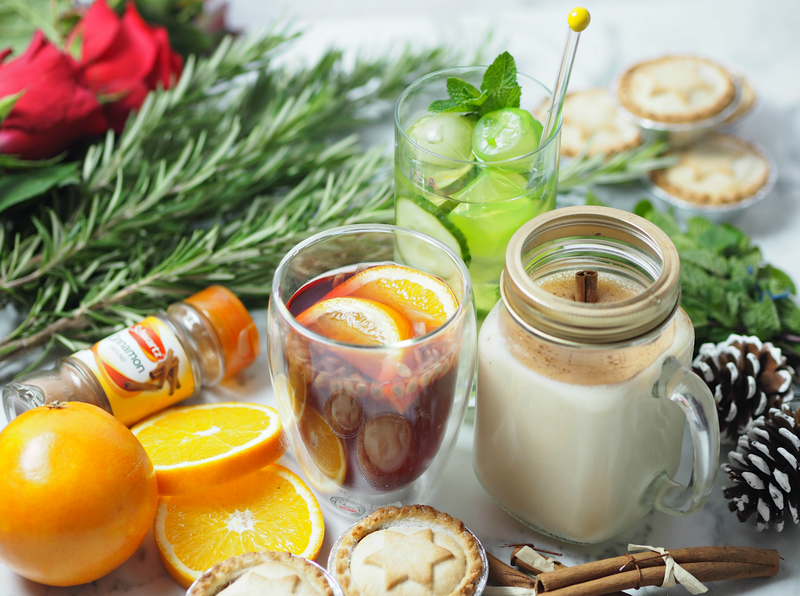 Do you have any other festive recipes that are full of beneficial (and not as naughty) ingredients? it’s not Christmas without a dash of Bublé. £69.00.) There’s FREE UK DELIVERY if purchased via the website. from £29.00 for 30ml, £39.00 for 50ml, £55.00 for 100ml. Previous Post A Musical Medley To Get You In The Mood For The Holidays: Which Tunes Are On Your Playlist? I hope you give them a go and like them! Especially the cucumber one – really hydrating and great when you're feeling fragile too.